On election night we published a video showing Michelle Coldiron speaking about the new hospital tax she champions. Ms. Coldiron is the Mayor of Marathon and is currently in a runoff race against Tommy Ryan for a County Commission seat. 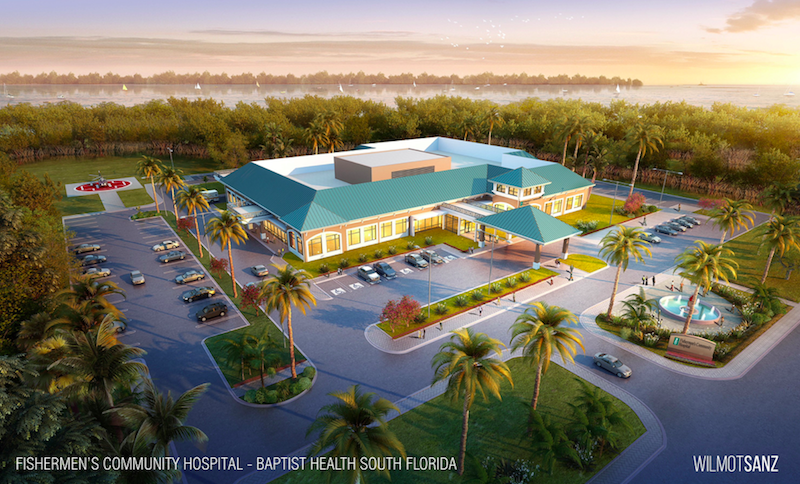 On July 18th the County Commission decided to levy a controversial [approximately] $1.8 million/year tax on Middle Keys residents to help Baptist Health South Florida’s Fishermen’s Hospital with costs associated with indigent care. Although many residents supported the tax no questions asked, some residents in the taxing area have been crying out for more information and a voter referendum. However, The Blue Paper has now reviewed the first draft of the agreement between the County and Fishermen’s Health Inc. Contrary to Ms. Coldiron’s claim, the document clearly spells out that Fishermen’s will receive the proceeds of the new tax for a duration of ten years with an option to renew for up to five years. 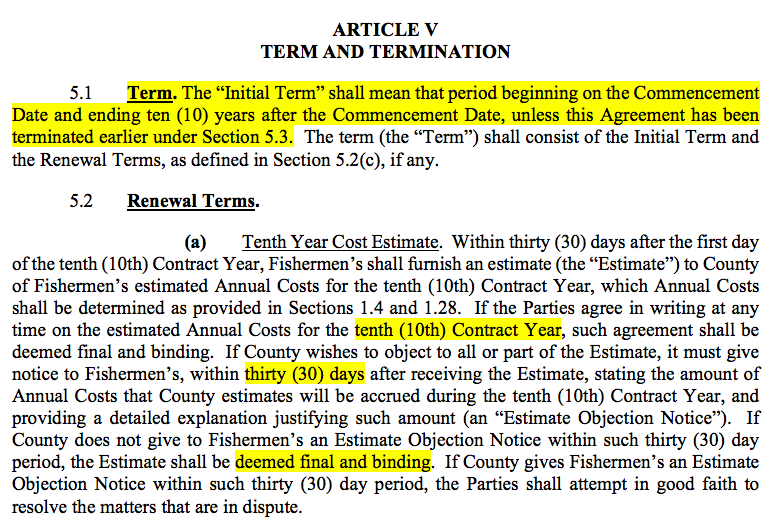 According to Section 5.3(a) of the current draft, the contract could only be terminated by a breach of contract (as would any contract authorized by a voter referendum) or “mutual agreement” of Fishermen’s and the County. Baptist South’s attorney, David Friedman, candidly explained the Fishermen’s Hospital tax issues at the Q&A in Marathon on August 13th. The tax funding is for “indigent care” – but that’s only on paper. In fact, the purpose of the tax is to help build Baptist South’s new hospital. But under Florida law local governments cannot levy taxes to benefit one private company’s brick and mortar project, like the construction of a privately owned hospital without a voter referendum. Many Middle Keys residents told The Blue People they might have been in favor of the tax, but were disappointed that local government officials had not sought more detailed information about how the funds would be spent and what the contract would look like, prior to voting for the creation of a new tax. The new Middle Keys tax is contingent upon consent by the cities of Marathon and Key Colony Beach (which fall within the boundaries of the proposed taxing district.) On August 9th the City of Key Colony Beach officially agreed to allow its residents to be subjected to the new tax. Marathon will have their final hearing on their consent ordinance on September 11th. Monroe County commissioners will thereafter decide whether or not to approve the final draft of the agreement prepared by Baptist Health South Florida and Monroe County attorneys. The tax would be based on property value (as values rise, so does the tax). A property currently assessed at $300,000 would see a tax increase of $150 (50 cents on every $1000 of property value). However, we spoke to several property owners who said the tax would cost them close to $2,000 a year. The draft contract allows for up to $15,000,000 in payments to Fishermen’s over a 10 to 15 year period. Note: A previous version of this article stated that Assistant County Attorney, Cynthia Hall’s, email confirmed that the municipalities could not unilaterally withdraw their consent to be taxed by the MSTU. That interpretation of the meaning of the email has been removed. Naja Girard contributed by providing research for this story. You can have a look at all of our coverage of the Fishermen’s Hospital tax by clicking HERE.